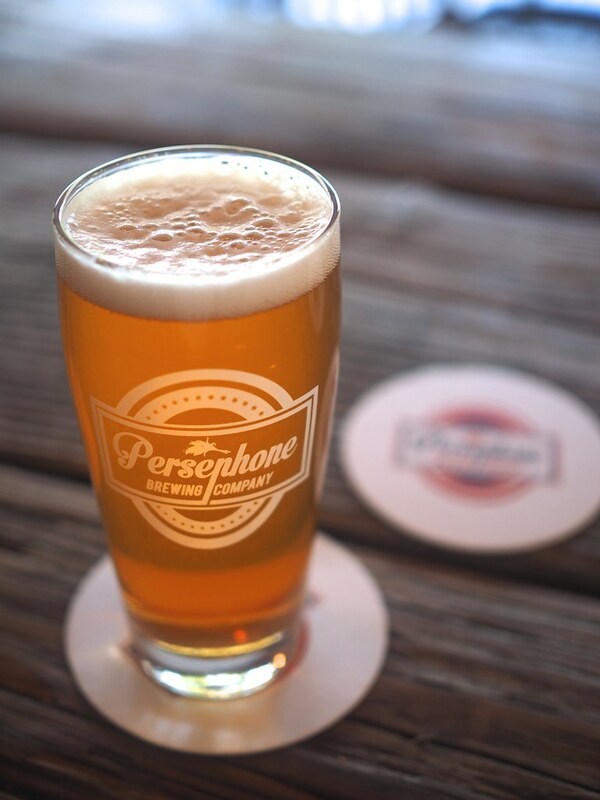 Sunshine Coast—Located in the town of Gibsons, British Columbia, Persephone Brewing Company is quite the charmer. 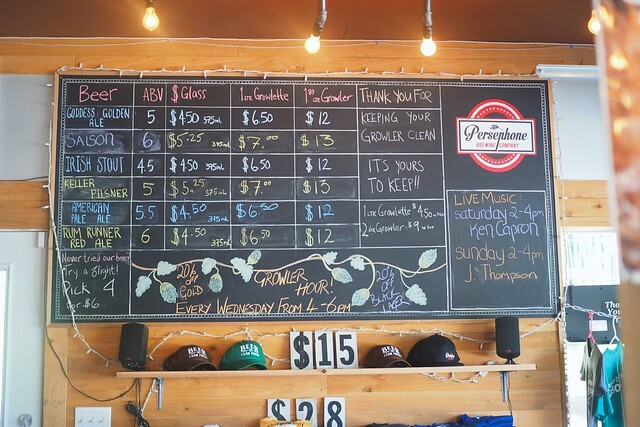 Central in town and a short car ride from the Langdale Ferry Terminal, Persephone labels itself as being all about "beer farm fresh" and it certainly lives up to that moniker. 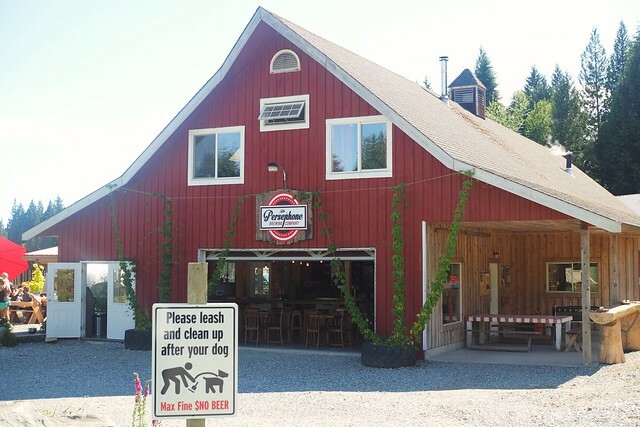 You can actually see and smell the farm's growing hops, live chickens, and general barnyard setup as you enter the facilities. They have a nice, slightly more American craft beer influenced, lineup of beers available. I was already a big fan of the full-bodied black lager with its crisp finish and the Oktoberfest lager's seasonal aroma. The Multigrain Saison (above) is light but tart and full of flavour. The Goddess Golden Ale is basically an English style ESB with a crisp, refreshingly light, and malty composition. 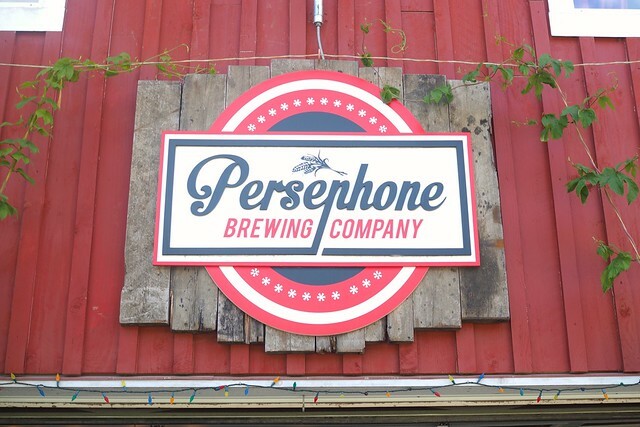 You know what else is cool at Persephone? Outdoor drinking and "picnic areas" where patrons pour drinks from their newly filled growlers and lounge about. 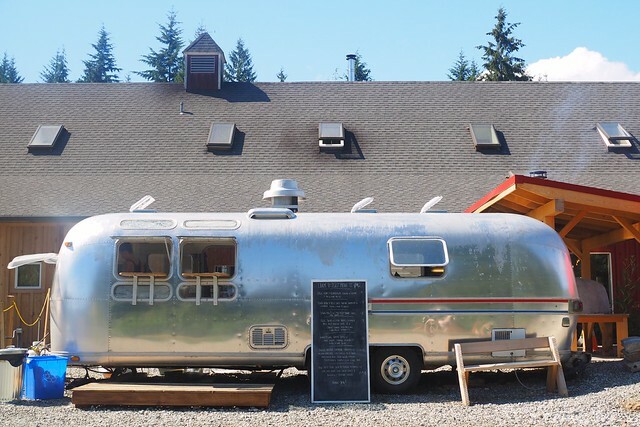 Persephone also has its own "food truck" on site open during evenings. It's a pretty open, casual setup all around as you casually wander the beer grounds. The Rum Runner Red Ale has a ton of malty pine notes as well as a dark and toasty taste. The American Pale Ale is a nicely mild brew with citrus and hoppy flavours. 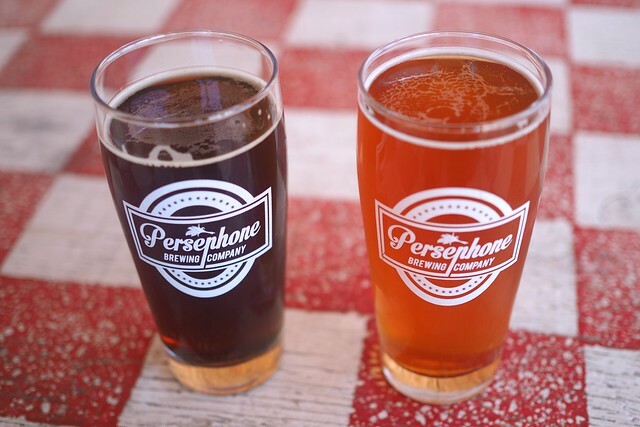 Persephone is a must visit for any beer lover and not only for the reliably well-made brews, but also the great attraction that is the beer farm itself. 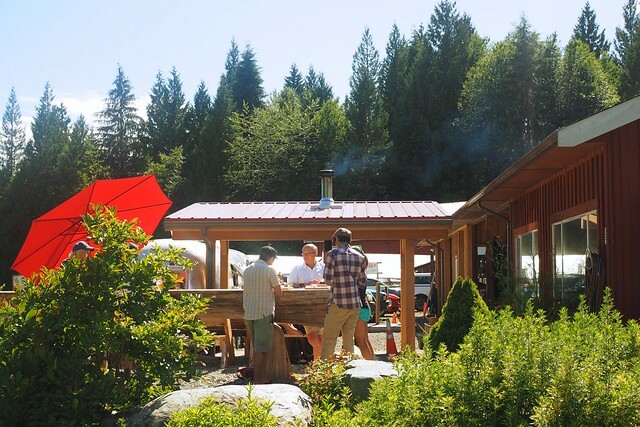 It's a very family friendly, community feeling environment with a laid-back atmosphere and good beer.